All right, so I've almost finished proofreading the draft of my novel, 'Planet Zhelanie.' I'll print and bind 15 copies for anyone who wants them. Since the age of 16, I've always wanted to write something 1) extremely weird, 2) extremely complicated and 3) something very good. I've most certainly achieved the first two targets, but I certainly haven't achieved the last one.I admire people like Melvyn Bragg who produce content that appears on a Friday night on ITV. He might interview some highbrow artist, but it's presented in an accessible way and everyone can understand it. It always annoys me how certain intellectuals/leftists/some conservatives etc. complain about the corrosive effect that consumerism and democracy has on culture. To state the obvious, both consumerism and democracy have enabled vast segments of society to encounter cultural artefacts that they otherwise would have never encountered. 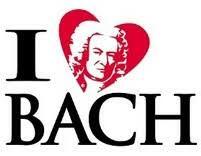 For example, classical music is now much more widely available thanks to consumerism. You can go online and find hundreds of recordings of classics that were previously only available to an elite minority. Democracy has enabled vast groups of previously disenfranchised people to receive a quality education that exposes them to European cultural history. Indeed, more people more than ever are aware of 'high' culture thanks to consumerism and democracy. I admire people like Melvyn Bragg who produce content that appears on a Friday night on ITV. He might interview some highbrow artist, but it's presented in an accessible way and everyone can understand it. Indeed, the old left were keen on democratising culture. The 1945 Labour manifesto stated the following: 'we desire to assure to our people full access to the great heritage of culture in this nation.' The Harold Wilson government of 1964-70 created the Open University, an institution that welcomed people from all walks of life and gave them the opportunity to study academic subjects. I can't stand snotty French intellectuals who write impenetrable arcane texts and who are ostensibly on the side of the 'workers'. Culture for them is something that needs to be 'deconstructed' (whatever that means) and torn apart. The 'New Left' from the 1960s were despondent about the failure of Stalinism and wanted to critique culture to determine what was wrong about the failures of capitalism. Culture for them is an elite enterprise, must include impenetrable jargon and must critique capitalism. The underlying suggestion here seems to be that most people are too stupid to read Shakespeare or listen to classical music and hence capitalism must be critiqued. Fun fact *: If Theresa May were to bow out now as PM, she'd be the only post-war leader apart from Anthony Eden to serve for two years. May would be bowing out over Brexit, which some call the worst crisis that Britain has faced since Suez (the reason why Eden resigned), though arguably Iraq was worse. I'm travelling to Sweden tomorrow. These are all the books that I read in 2018. * This list only covers films that received a theatrical release in the UK in 2018, although admittedly Roma was released on Netflix. I watched 10 films that were released in 2018 - but I still watched enough movies to compile my yearly list. I am someone who values social fairness, yet many of the artists who I admire either ripped their musicians off or paid them little or no money. On top of that, their musicians even did most of the work and were not given any songwriting or arrangement credits. TMR was assembled by John French and strenuously practised by the entire band over months. Similarly, a lot of Frank Zappa's albums include improvised solos and many of his albums would not be the same without their contributions. The guy had a net worth of 40 million dollars when he died whilst some of the original Mothers like Jimmy Carl Black had to keep going on the road before he passed away. Shouldn't it only be fair that some of those guys received a small share of Zappa's wealth? Beefheart and Zappa were very special people, but their visions could be realised by people who surrounded them. Beefheart could even be violent. Whilst their albums will always have a special place in my heart, I still can't quite get rid of the feeling that they were complete arseholes. I find these kind of updates to be flamboyant/narcissistic/ostentatious in the extreme, but then it's probably much better than writing hysterical rants. I had a doctor's appointment today, so I took the day off from work. 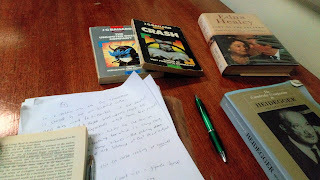 I went to the library to work on an essay about J. G. Ballard. Objects in the photo include: notes for the essay, three J. G. Ballard books (the primary texts), a book about Heidegger (secondary text) and a memoir by Edna Healey, wife of Denis Healey, former chancellor of the exchequer (I bought this at the supermarket for a £1 earlier, as I am interested in the history of post-war British politics). Fascinating. I wish that more contemporary TV was like this. Not even BBC 4 shows stuff like this. This kind of thing is also cheaper to make than all those flashy documentaries, where the focus is always on the individual presenter and not the actual topic. The editing/narrative structure is really creative on this, too. This is also very reminiscent of the golden age of social democracy, when there was a lot more culture on television. A lot of publicly funded television was meant to educate people, to democratise 'high' culture and make it more egalitarian. The plummy accents are a bit silly, though. Part six of a forthcoming book called Collected Essays. Towns could be characterised as being more communal whereas cities could be characterised as being more liberal. This essay will examine why this is the case by looking at sources from disparate disciplines like political philosophy, economic history, continental philosophy and modern literature. It will argue that towns are more communal because they are smaller and tend to conserve traditions. They usually have community centres, churches, health centres which everyone shares. They are often culturally and ethnically homogenous and are less amenable to social change. They often have the same economic resources. Meanwhile, cities are often more liberal, since they are larger, are more culturally and ethnically diverse and they are often the centres of finance and trade. This essay will begin by defining liberalism and communitarianism. 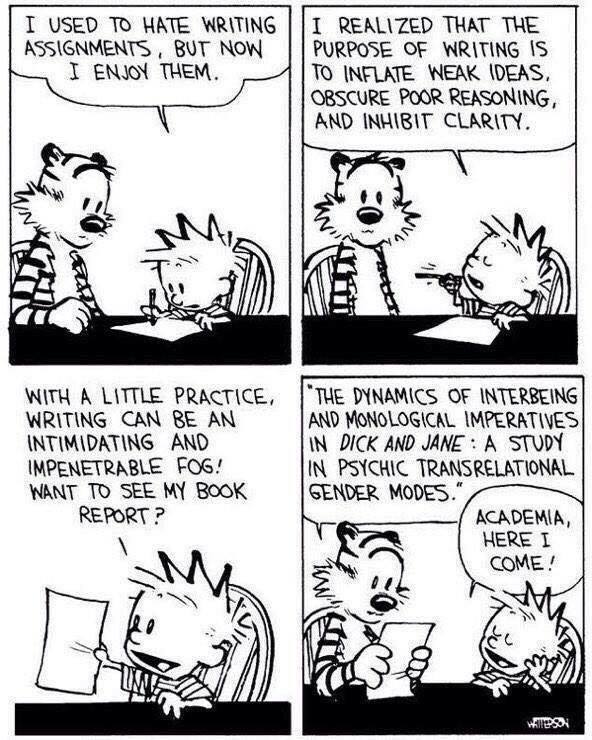 It will do this by looking at political philosophy. It will look at the origins of liberalism and communitarianism in antiquity. Following this, it will try to establish why town are more communitarian whilst cities are more liberal. This essay will provide examples of communitarianism by looking at the think-tank Blue Labour. 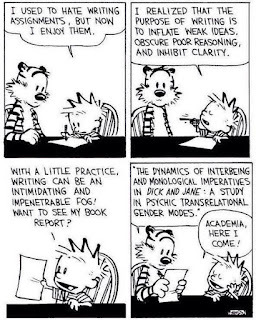 It will later provide examples of more individualistic thought systems by looking at existentialism and modernism. It will try to ascertain why towns and cities have the characteristics that such thought systems prescribe. This essay will begin by offering definitions of liberalism and communitarianism. The main concern of liberalism is liberty, however different strands differ as to how this should be prioritised. Classical liberalism, as posited by John Locke, claims that laws and government limit the freedom of the individual (Gaus, Courtland, Shane and Schmidtz 1996). According to Locke, there must be a social contract which protects the liberties of everyone. However, liberals disagree as to what role the government should play in protecting these liberties. Locke claims that the government should only provide policing to protect the liberty of citizens. However, a modern liberal like John Rawls thinks that it is necessary to raise taxes to fund a more fair and just society. This is unlike classical liberals like Locke and Robert Nozick, who believe that a measure like redistribution of wealth is an illiberal encroachment on the liberties of citizens, as it uses them as means to specific ends. Additionally, another major difference amongst liberals include differences like positive and negative liberty. Issiah Berlin wrote about negative liberty, which involves an individual being able to pursue something free from coercion. A person lacks freedom if he is prevented from doing something – hence, regulations and laws prevent the individual from choosing what to do. Meanwhile, positive liberty aims to provide resources which allow freedom of choice for the individual (Gaus, Courtland, Shane and Schmidtz). According to Martha Nussbaum, this is the only real form of liberty and she regards negative liberty as ‘an incoherent idea,’ as all our choices are dependent on resources such as wages, education, electricity, laws, etc. All our choices are permitted or inhibited by others, so liberty can never truly be ‘negative’ (p. 65, Nussbaum 2011). According to the socialist theorist R. H. Tawney, ‘being free is being able to act,’ but, as Nussbaum identifies, Tawney point out that depriving the individual of resources like education, food, electricity, etc. deprives him from the ability to act (Gaus, Courtland, Shane and Schmidtz). Meanwhile, communitarianism means belonging to a group of people rather simply one person (Merriam-Webster 2019). This could apply to various communities and organisations, but certain public institutions like NHS and the BBC could be called communal, as they are owned by the entire nation. Of course, the most extreme manifestation of this tendency is communism, which calls for the common ownership of the means of production, distribution and exchange. According to Karl Marx, workers have been exploited by capitalism, so they must overcome the structures that oppress them and take control of their own labour (Wolff 2017). Ideas like individual agency and shared values hark back to ancient antiquity. After having defined the meaning of these terms, this essay will examine their provenance and turn to Plato and Aristotle, who debated these issues. Plato leant more towards communitarianism whilst Aristotle harboured a type of proto-liberalism. Plato believed that forms exist independently of things and that these forms apply to everything (Meinwald 1999). In other words, everything that we see is underpinned by forms. Aristotle, meanwhile, simply thought that a form is part of that individual thing. A chair is shaped in a certain way, but it does not contain a specific type of ‘chairness’ (Kenny, Amadio 1999). This metaphysical foundation extends to their political philosophies, since Plato thought that the body politic was a single organism. Meanwhile, Aristotle thought that society was comprised of a plurality of individuals who make their own choices (p. 127, Nussbaum). Although Aristotle thought that society was plural, he still thought that humans are social animals who need to form groups and private associations. Both thinkers thought that men are political and that a ‘human good’ cannot be reached in isolation. Plato even thought that his corporatist society should be controlled by state censorship and should limit education and common families (Biondi 2011). Now that this essay has defined these terms and examined its historical roots, it will try to gauge why towns are more communal whereas cities are more liberal. Towns harbour institutions that everyone shares, such as libraries, health centres and churches. Nearly everyone uses the same supermarkets and shops. They also often conserve traditions for centuries and many families live in the same town for many decades. Towns are neither countercultural, in the way that many cities are, nor are they revolutionary in the way that communism delineates. Meanwhile, cities are comprised of thousands or millions of individuals who pursue conflicting goals. Immigration in cities creates more diversity, as foreign-born residents often account for one-third of the population in London (Sullivan 2015). Cities often integrate foreign communities, which make them more plural and diverse. 95% of immigrants in the UK live in an urban area (100 Resilient Cities 2017) and this affects social and community cohesion. Cities are often centres of finance, which are a hub of international transactions. Cities are also a hub of tourism and culture whereas towns are not. However, this was only a relatively recent development, as urbanisation started to occur around 1920 when it reached a 50% threshold. There were 7.7 times as many household areas in cities in 2000 than in 1920 (Cox 2013). Cities are also more liberal as they create more atomisation, meaning that they are comprised of individuals who pursue conflicting interests. Groups and individuals are detached from one another and do not encounter one another. This is even enabled by ‘urban and architectural regulations,’ which create segregations (p. 114, Netto 2018). By contrast, smaller towns primarily voted for Brexit and they are less diverse, less liberal and less tolerant of social change (Jennings, Stoker and Warren 2018). The vote as being interpreted as being conservative and nostalgic. People rued a bygone era of mining pits, full employment and high wages. 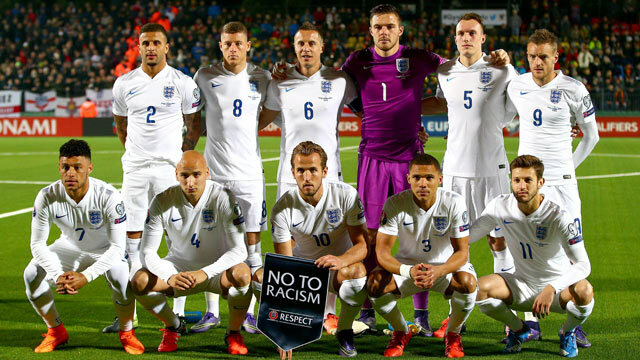 This makes them more nationalistic whereas cities looked outward by voting for Remain. Interestingly, the rise of London as a financial power coincided with the UK losing its mettle in manufacturing and with the decimation of manufacturing jobs in northern towns. Manufacturing accounted for 21.57% of GDP in the 1970s and went down to 15.8% by the 1990s (p. 4, Rhodes 2018), when financial services were the bedrock of the British economy. The UK began to lead the world in financial services in the 1980s (Stewart and Goodley 2011). It currently totals £2.5 trillion in international bonds, which is the largest in the world and it has £8 trillion in banking assets (Davies 2016). This makes a city like London international and liberal, as it is comprised of a plurality of cultures which trade with each other. It is centred in London, meaning that it booms in the city whereas communal towns fall behind. For example, towns were more likely to vote leave in the Brexit referendum, as they had suffered from the decline in manufacturing and the rise in city-centred financial services. People were more likely to vote Leave in towns that had been neglected by policy makers (Jennings, Stoker and Warren). This essay will look at examples of communitarian or liberal thinking and in what ways this make towns more communal and cities more liberal. It will use the think-tank Blue Labour as an example of the former. The think-tank argues that the Labour Party lost its way when it preoccupied itself with abstract ideas like equality and justice, which led to ‘vapid liberalism’ (p. xvii, Bew 2016). It is also sceptical of the welfare state implemented by Clement Attlee from 1945-51 because it claims that it created a large bureaucracy which intruded into the private lives of families and that it created a culture of dependency (Score 2011). It views George Lansbury as its best leader (p. xvii, Bew). It criticises Blair for embracing globalisation, since in its view it has decimated British manufacturing, depressed working-class town and, as such, destroyed local communities (Derbyshire 2011). Blair was keen to welcome giant financial banks to the city of London (Shaxson 2011). 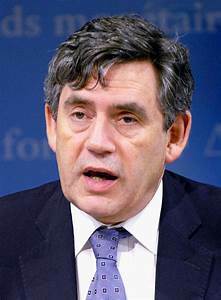 It also distrusts Gordon Brown’s world-view, as he embraced both the state and the market (Derbyshire). Brown invested in social programs such as early intervention programs, Sure Start, tax credits and investment in schools, hospitals and other public services. However, previous Labour governments funded investment in public services by taxing incomes whereas Brown largely raised his tax revenues from tax receipts from the deregulated financial sector (Freedland 2014). Hence, unbridled market capitalism created enough revenues for record investment in social programs. Both Blair and Brown’s embrace of globalisation is inimical to Blue Labour, as globalisation has affected northern towns in the UK. The decline of industry, the rise of the internet and robotics and the lure of London also had an economic impact. It fragmented cultures, as people moved south to look for jobs. The population in England that lived in the north went down from 35% to 27%, then down to 27% since then (Julian 2016). What bound them together – mining pits, labour union movements and political affiliations – have also disappeared due to the rise of globalisation and financial capital in cities (Julian). Additionally, labour markets have been changed by globalisation. The UK economy is interdependent with globalisation, as exchange rates affect the level of exports, which later affects competition and employment. The global financial crisis of 2007, for example, affected job security and unemployment rates. Another impact on northern towns has been the globalisation of labour, as immigration has an impact on wages. Globalisation offers good price stability, which is why foreign workers go to the UK to work (Hanley 2011). Having examined an example of communitarian thinking, this essay will turn to two strands of thought that emerged after the rise of cities. Existentialism and modernism were two movements which emerged in the 1920s, when urbanisation reached its 50% threshold. 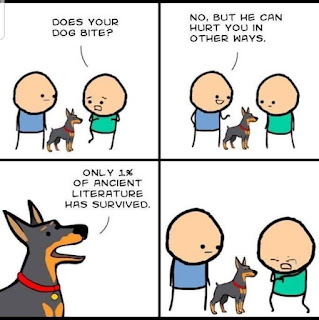 To the Lighthouse by Virginia Woolf was published in 1927, Ulysses was published in 1922, The Trial by Franz Kafka was published in 1927 and The Sound and the Fury by William Faulkner was published in 1929. Prescriptive thought systems such as Christianity had been shattered, which led to movements like existentialism. Existentialism argued that individuals should forge their own moral values in a Godless universe (Burnham 1995). Jean-Paul Sartre formulated his philosophy by arguing that existence precedes essence; that is, we are shaped by our existence and social environment (p. 20, Sartre 1947). Our existence creates who we are and we determine the kind of people we are by making our own choices (p. 20). There is no God who determines who we are, as we are born with a blank slate. Hence, the individual is responsible for his choices. However, existentialism is a highly moralistic philosophy and it is concerned as to how these choices affect others (p. 23). The individual must grapple with moral choices. 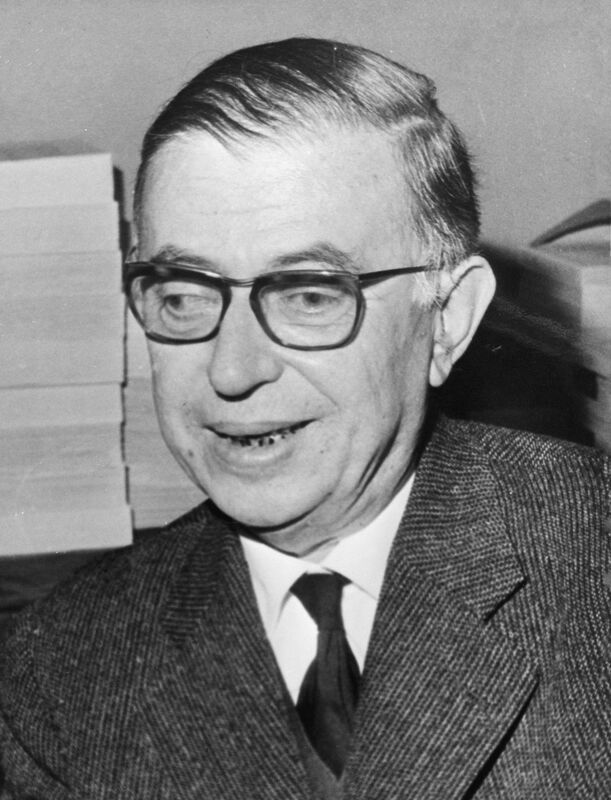 Sartre includes examples such as whether a worker should join a Christian trade union or become a communist, whether an individual commits himself or the whole of humanity to monogamy by getting married and whether an individual should fight in a world war or take care of his dying mother (p. 24). All this makes existentialism a thoroughly individualistic philosophy, as it places greater emphasis on individual choice and individual responsibility. It is closer to the definitions of liberalism that this essay provided. Although it places greater emphasis on individual agency, it is still determined by strong moral values. This kind of mind-set had become more entrenched after the rise of industrialisation and urbanisation. As Sartre says in his book Existentialism is a Humanism (1947), existentialism had become fashionable term that had been casually thrown around. It was popular in the type of bohemian and literary circles that harbour in cities. Existentialism linearly follows from Nietzsche’s ‘death of God’ pronouncement and that the individual creates who he becomes. This is unlike the more communal nature of towns, where traditions and cultures are passed down from generation to generation. Meanwhile, modernism was a literary movement that often recreated the sense of alienation that individuals experienced within industrialised cities. Modernism started after WWI, after the rise of cities: ‘The modern impulse is fuelled in various ways by industrialisation and urbanisation and by the search for an authentic response to a more changed world’ (Kuiper 2009). Modernism was also particularly interested in consciousness and capturing the subjective perception of time (Taunton 2016). For example, Ulysses takes place over a single day and it is over a thousand pages long. Social realist novels of the 19th recreated society whereas modernism tended to recreate subjective perceptions and the alienation that individuals experienced within industrialised cities. The Trial (1927) by Franz Kafka is an example of a modernist novel that does this. This essay will provide a close reading of The Trial and it will try to ascertain how it recreates the alienation that the individual experiences in the city. The novel follows its character Joseph K. being arrested and no reason is given for his arrest. A lot of the novel follows him working as a clerk in a city, presumably Prague. Of course, an effect of urbanisation and industrialisation led to an increase in administrative work. Indeed, the novel describes how this creates needless and excessive bureaucracy. As a result, K.’s arbitrary arrest is the result of this large bureaucracy and, despite, speaking to endless lawyers, no-one can explain why he has been arrested and no-one denies that he is guilty. As a result of working in an office, K. is often overworked and he has no time for leisure: ‘He was in the office most days until nine o’clock’ (p. 13, Kafka 1927). He is so attached to his office work that he does not enjoy leisure time: ‘Every hour spent in the office grieved him’ (p. 154) Additionally, the complex laws and bureaucracy is intractable and there is no lee-way in the process: ‘The court can never be persuaded to change its opinion. […] [It is] firmly convinced of the accused person’s guilt’ (p. 153) This is close to totalitarian regimes, which disregard human rights and which repress all dissenting views and opinions. To conclude, the city in the novel has created more administration and bureaucracy, which intrude into the private life of the individual. It does not let him have any leisure time and he is even hounded by it during his free time. This bureaucracy is even totalitarian, as it arrests people in arbitrary way, crushes dissent and tries to control all aspects of human society, even the private lives of individuals. Additionally, the novel depicts the segregation and atomisation that is created by the city. Although communities exist, these communities are segregated. Joseph K. does not speak with co-workers or mingle with other demographics: ‘He was in the habit of sitting until eleven o’clock, mostly in the company of elderly gentlemen, at a table reserved for regulars.’ (p. 13). Occasionally his manager invites him to social activities, but he is largely aloof (p. 13). Also, society is highly stratified and divided into classes. There are hierarchies, as Joseph K. is arrested by a nebulous authority that never appears. His arrest is cold, affectless and this nebulous authority does not explain why he has been arrested: ‘I am exceeding my instructions by talking to you in such a friendly way’ (p. 2). There is a nebulous hierarchy which is repressive and distant. His managers in his office are equally nebulous and distant. This is unlike the solidarity that often exists in communal towns, where there is more cohesion within communities. The society in The Trial is increasingly marketised, but the state has also increased its size dramatically. As a result, K. has not been imbued with any values. Communities in towns had churches, which imbued them with common values and a belief system. Thinkers like Jean-Paul Sartre grappled with this problem, by arguing that individuals should forge their own moral values after the ‘death of God.’ There is a striking scene in The Trial which is set in a church. Although Joseph K. does not profess to be religious, he is impressed by the aesthetics of the church. At the same time, he finds it oppressive: ‘The size of the church seemed to him to border on the very limits of what was humanly endurable’ (p. 163). The priest in the church tells him a story about a man who will not be allowed to walk into a building by a guard. This has parallels with Waiting for Godot (1953) by Samuel Beckett – people look for God, but he never arrives. The man asks for admission into the building ‘for many years,’ (p. 167) which is like the life-long devotion of many believers. At the end of his lifetime, he is told: ‘Nobody else could gain admittance here, this entrance was meant only for you. I shall now go and close it’ (p. 167). This suggests that God is never present, like Beckett’s play, but it is reminiscent of the personal relationship many believers claim to have with God. Like the complex laws in the world of the novel, and like religion itself, the priest is very dogmatic. The parable that he presents can only be interpreted in a single way: ‘You have insufficient respect for the written record and you are altering the narrative’ (p. 168). Joseph challenges the priest repeatedly, which suggests that he does not think highly of religion. The city in the The Trial has lost common values like religion, but at the same time Joseph K. struggles to forge the kind of moral values formulated by Jean-Paul Sartre. Towns are more communal, as they often have health centres and shopping centres that everyone shares. Traditions are often conserved and families often stay there for generations. As this essay illustrated, towns are often much less resistant to social change. They are often more nationalistic and nostalgic. For example, more towns voted for Brexit and they rue a golden period of mining pits, ful employment and high wages. Towns have adapted less well to globalisation and the shift from manufacturing to financial services in the British economy. Meanwhile, cities have boomed after globalisation, have integrated immigrants more successfully and they are the centres of international finance and trade. This essay provided an example of communitarianism by looking at the think-tank Blue Labour. This essay provided a definition of liberalism and it looked at both classical and social liberalism. It also showed how these debates harked back to antiquity by looking at the arguments of both Aristotle and Plato. Finally, this essay argued that more individualistic thought systems like existentialism and modernism emerged after wide-spread urbanisation in the 1920s. Sartre argued that individuals should forge their own moral values after the decline of religion. Individuals were often alienated after the rise of industrialisation, urbanisation and the decline of religion, which modernist novels grappled with. This essay examined this with a close reading of The Trial by Franz Kafka. It showed that the city has created more administration and bureaucracy, which has led to an almost totalitarian repression of the individual. The city in the novel has also created more atomisation, as Joseph K. is isolated and there are segregated communities. Finally, Joseph K. is not imbued with the kind of common values that are prevalent in towns. He has no belief system and does not believe in God. In a scene in a church, a parable is presented, which suggests that God is never present and will never arrive, which has parallels with the main narrative and theme in the novel. Having covered a plethora of disparate subjects, these are the conclusions that this essay has reached. Bew, John. (2016) Citizen Clem. London: Quercus. Biondi, Carrie-Ann. (2011) Review Essays Review Essay: Ronna Burger‟s Aristotle’s Dialogue with Socrates: On the Nicomachean Ethics , Paula Gottlieb‟s The Virtue of Aristotle’s Ethics , and Eric Salem‟s In Pursuit of the Good: Intellect and Action in Aristotle’s Ethics. Reason Papers 33 (Fall 2011): 144-164. Gaus, Gerald, Courtland, Shane D. and Schmidtz, David. (2018) Liberalism. The Stanford Encyclopedia of Philosophy Available from: . Kafka, Franz (1927). The Trial. Translated by Idis Parry (1994) London: Penguin. Netto, Vincius M. (2018) The Social Fabric of Cities. London: Taylor and Francis. Nussbaum, Martha. (2011) Creating Capabilities: The Human Development Approach. London: The Belknap Press of Harvard University Press. Sartre, Jean-Paul (1947). Existentialism is a Humanism. Translated by Carol Macomber (2007). London: Yale University Press. Unknown Author. (2019) ‘Communal’ [Online] Merriam-Webster. Available from: https://www.merriam-webster.com/dictionary/communal. Wolff, Jonathan (2017) Karl Marx. The Stanford Encyclopedia of Philosophy Available from: https://plato.stanford.edu/archives/win2017/entries/marx/. The email account that is available on this blog has been blocked. It's a long boring story - I logged into a computer at a public library and it thought that someone else had entered it maliciously. I tried logging in repeatedly, but it keeps asking for a security question that I do not remember the answer to. Why do artists become recluses? In many cases, they are not recluses, but they manage to acquire the label. They have family and friends, but they choose to distance themselves from the media instead. They want to release their work and they want an audience, but they do not want to be public figures. Often their work is very rich, so they think that this suffices and that all public appearances are superfluous. The novelist Thomas Pynchon is a good example of this. He produces mammoth novels which are stuffed with research into multiple disciplines, complex word play, allusions to other novels and unusual words. They have created a large devoted who analyse these texts and try to gauge what his personality is like. 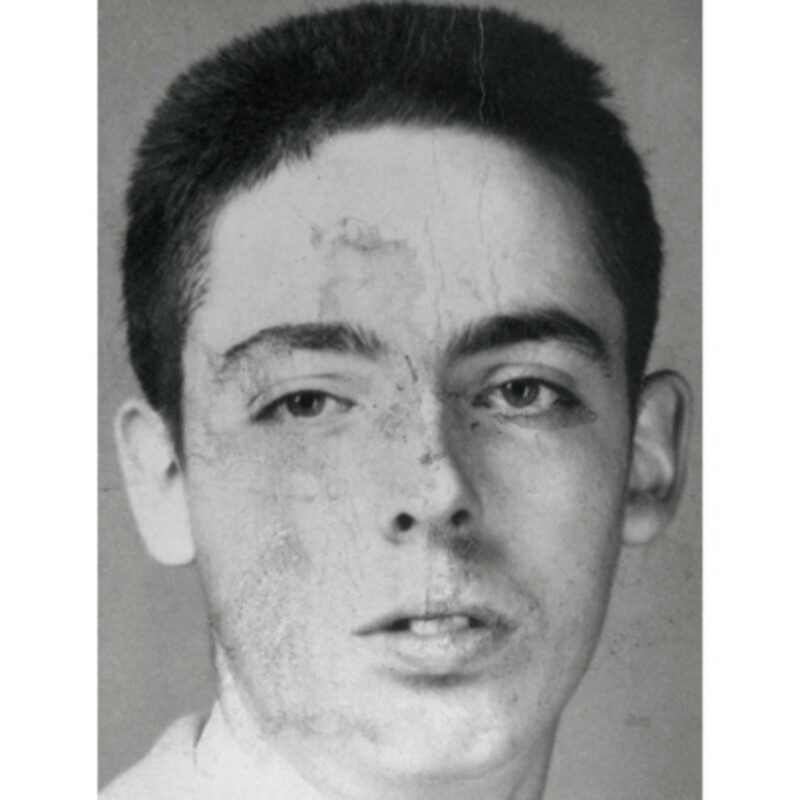 However, Pynchon thinks that the work should simply speak for itself. A possibly apocryphal story claims that when his debut novel V. was published, a journalist tracked his house down and Pynchon jumped out of the second window of his house and ran away. When he won the National Book Award for, he sent a spoof speaker who gave an absurd speech. There are also reclusive directors, which is quite surprising as their medium is collaborative and they are surrounded by recording equipment all the time. Stanley Kubrick also had family and friends, but avoided a public persona. 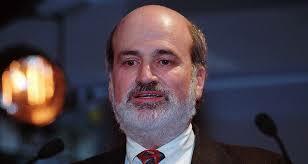 Terrence Malick, like Pynchon, is averse to being photographed. There was a twenty year period when he never made a film and many people speculated that he became a hairdresser in Paris. Our understanding of Malick’s films is also coloured about the scant biographical information we have about him. We know that he did a doctorate in philosophy at Oxford and that he studied Heidegger. As such, there are many academic texts that try to analyse his films from this angle. Writing in particular is a solitary activity whilst cinema is more collaborative. However, they are both still public media. They are both discussed in public and they both shape our understanding of social, political and cultural events. In this sense, these artists are recluses in that they do not comment on public affairs and they do not grant interviews. However, their books still shape public discussion. A Pynchon book will generate a media frenzy in the same way that a Malick film will. In this sense, they are still engaging with public discussion. They also have families and a social life, so they are not ‘recluses’ in the familiar sense of the word. We can often find something larger than ourselves in communities. 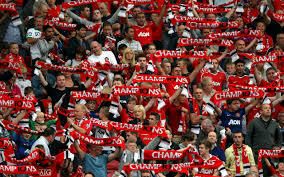 Football in the contemporary world is a way of building communities, as it creates a sense of belonging. Each club has its own history, its own successes and its own failures. Some clubs pivot more towards one camp than the other. A club might have its own style of football; it might be more expansive or defensive. Some clubs might have a history of prioritising youth whilst others tend to sign players. Even the fans themselves might have their own individual characteristics. Some fan bases might have a good reputation whilst others might be more belligerent. Each team also has its own rival and derby. Additionally, a club might be founded by a particular industry, so a club might be associated with a particular economic resource, such as steel. In other instances, clubs might be associated with political allegiances. For instance, Roma is the leftist team in Rome whilst Lazio has a fascist past. Certain clubs are sometimes associated with certain classes. In some cases they are more working class, in others they are more upper crust. 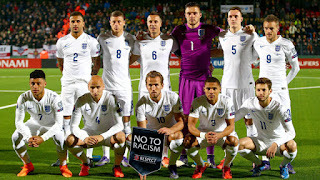 Nations experience real unity when their national team plays. It is one of the times that political and social differences are cast aside and when the whole nation come together. So, although it is a completely tribal game, it can sometimes transcend tribalism. Ultimately, people should support their local clubs. They form part of the communal nature of clubs in that way. One of the effects of globalisation is that people support clubs in other cities because they have the best players and spend millions on advertising. 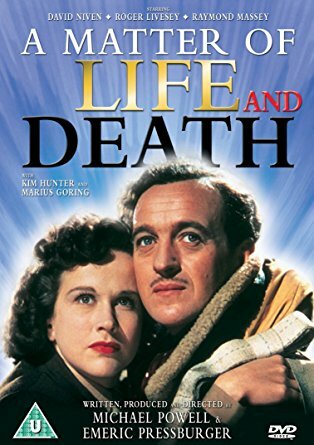 A Matter of Life and Death is a film that was written, produced and directed by Michael Powell and Pressburger. It has been re-released in cinemas over the Christmas period. You are truly in for a treat if you have not seen it – it is, in every sense, a delightful film. The film is about a British pilot i WWII, played by David Nevin. He is flying an air craft that has caught fire and is about to crash. As he falls to his death, he talks to an American woman over a wireless and they fall in love. He falls to the ground and, curiously, survives. He encounters the American woman and they forge a love affair. 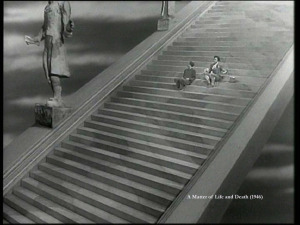 The film alternates between scenes in heaven – shot in black and white – and scenes in earth, which are shot in colour. We find that there is a glitch in the system and that he should really be in Heaven. A trial ensues in heaven, which tries to determine whether or not he should remain on Earth or returned to heaven. Stylistically, the film is astonishing. Despite being shot during war time austerity, it was an expensive film and it boasts some sublime sets. The editing is ingenious – Powell/Pressburger freeze the frame whenever an angel descends to Earth to communicate with Nevin. As with most films from the 40s, the colour is saturated. The scenes in Heaven are done grand, spectacular and have excellent attention to detail. Heaven has its own judicial system. The laws of heaven are broken for the first time, so that the individual can stay on Earth. The case is that Nevin loves the woman and has too much to live for. 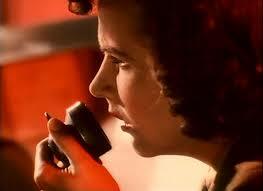 There is also a wonderful scene where Britain is defended as a bastion of individual rights and freedoms. The case is made against an American, who were fast becoming a world power. A sense of justice pervades the film because there is a sense that Nevin is a good citizen who will be a gift to the world. A scientific distrust of the divine is overturned and this is not really because the film is religious, it is really because, after the horrors of the war, a New Jerusalem will be built and anything is possible. There is some theology in the film, however it is hard to tell if it is really Christian. 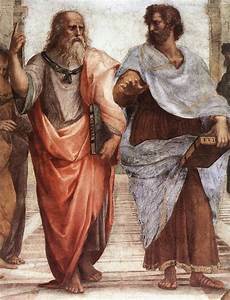 Plato and Aristotle are invoked. Plato claimed that there was a world of ideas that was more real than the Earthly world and that this world of ideas underpins this imperfect world. Aristotle tentatively suggested that the intellect might survive the human body. It is hard to tell if it really is a Christian heaven, as there is not much mention of Christ. It seems that it is a more Platonic heaven, as ideas are discussed and it seems to be founded on rational principles. This really is a wonderful film. The 1940s were the high-point of British cinema, as it produced creative, stylistically daring and quintessentially British films. The Ealing Studios also produced a series of dazzling and inventive films. Mark Kermode recently asserted that this is the best British film ever made, which is not a controversial claim.